Car insurance is regarded by many drivers as something of a necessary evil. Even mention of the word can conjure in some feelings of dread regarding expensive premiums and complicated paperwork. Especially for newer drivers, the process of shopping for, let alone understanding, insurance policies can be daunting. Fortunately, understanding your insurance doesn't have to require planetary alignment and a blood sacrifice. 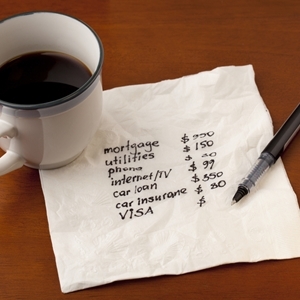 There are a few things you can keep in mind to help you manage costs, or at least understand them. When it comes to car insurance, no two applicants are the same. What you end up paying for your monthly premium depends on a whole host of factors, ranging from how old you are to what kind of car you drive. According to Edmunds, drivers looking to shave down their insurance bill as much as possible should start with the car they drive. In general, the more expensive and new your car is, the more it costs to insure, though there are other factors at play. Things such as your car's reliability record, safety rating and even how likely people are to steal it can all affect the final number. You'll also find yourself under the microscope when shopping for policies. If you tend to drive less frequently, more safely and have fewer traffic citations on your record, you'll find yourself in general paying less than others who may have a more checkered driving history. Developing technology has brought with it alternative insurance options for the frugal driver. Policies known as use-based insurance operate by monitoring things such as how far you drive and how quickly, which is tracked through inputs connected to your dashboard and linked to your smartphone via an app. Using this data, insurance companies can assess what kind of driver you are based on how and how much you drive, rather than charging a flat rate. This model is currently in the minority, with only around 2 percent of on-road vehicles currently being covered this way. However, use-based insurance is quickly catching on. In fact, Edmunds estimated that over the course of the next five years, roughly 20 percent of active policies will be use-based. If you're shopping for a used car, head to NJ State Auto Auction. You'll find hundreds of Carfax-certified cars on the lot, and a knowledgeable in-house finance team on hand to help make your chosen used car, truck or van affordable. Do you know if your identification is in order? It may seem like a deceptively simple question, but New Jersey has instituted a new 6-point system of identification that you'll need to learn for everything, including and especially getting or renewing your license. Named for the new point value assigned to different documents required to add up to six "points," motorists will now be responsible for presenting both a primary and secondary form of identification. Before you head down to the dealership or the MVC, make sure you brush up on the basics of this new system so you can be prepared if you ever find yourself on the business end of a traffic stop. The biggest thing you may be wondering about 6-point identification is what exactly it entails. It's a new system implemented by the state of New Jersey meant to impose stricter regulation on what is and is not acceptable identification for state document purposes. According to the State of New Jersey Motor Vehicle Commission, you'll need to make sure you have four pieces of identification ready to meet the requirements. In addition to a social security number and proof of address, you'll now need to make sure you have one primary and one secondary piece of identification. This may seem extensive, but it's with good reason. The system has been implemented to help reduce the occurrence of identity theft, potentially saving you time, money and hassle. Now that you know what class of documents you'll need, it's a good idea to brush up on what exactly you can use so that the next time you head to the MVC you're prepared. Fortunately, while the new system may seem complicated, you may be pleasantly surprised to find that more than likely, you've already got everything you need. In fact, if you've got a passport or your birth certificate, a current driver's license, a signed ATM card and a current credit card bill on hand, you are all set. 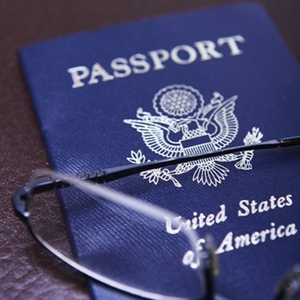 The MVC website suggested this document combo as the most common and most easily fulfilled example of how to meet the new requirements, but if you've never traveled abroad don't fret – there is a helpful online guide available to walk you through exactly what options you have for meeting the 6-point identification requirements. 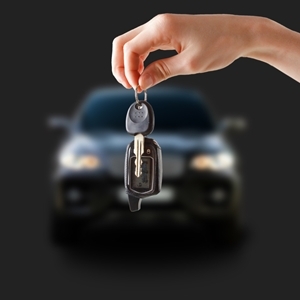 Once you've got your identification in order and are ready to shop for a car, head to NJ State Auto Auction. You'll find hundreds of Carfax-certified cars on the lot, and an in-house finance team ready to help you make your chosen used car, truck or van affordable. For many, the unfortunate reality of a recent bankruptcy filing looms over like a blemish on the otherwise pristine face that is credit records. Even if you've managed to dig yourself out of debt and start fresh, having filed for bankruptcy can create a host of headaches for you down the road when it comes time to do things like apply for a loan for a car purchase. Fortunately, a history of bankruptcy doesn't have to impact your car ownership options in a terminal way – there are ways to make sure that you can still drive away with a car of your own. While Edmunds indicated that credit unions and even banks aren't opposed full-stop to approving car loans for those who have been through bankruptcy, it's important to not shoot for the moon when you're shopping on the lot. Your best bet is to keep your expectations realistic and modest. BankRate.com stated that most financial institutions will likely balk at approving more than a $15,000 loan for someone coming out of bankruptcy which, fortunately, leaves open a whole host of options in the used car market. One major thing to keep in mind is that while you can still get approval for a car loan after bankruptcy, you should expect to pay more. The difference in interest rates between someone with a good credit score and someone with a bad one can be severe. According to Edmunds, those on the lower end of the credit spectrum could be looking at monthly interest rates of between 15 and 18 percent, versus the 3 to 4 percent that those with good credit are accustomed to. Even better, these monthly payments can help you beef your credit score back up and may even allow you to refinance your loan for a cheaper rate down the road. Additionally, your previous payment and employment history will come into play. Dealers will be put at ease if they note that despite your bankruptcy you've been fastidious about making monthly payments on time. Conversely, while unemployment or poor repayment history may not shut you out completely, dealers are more likely to look for a larger down payment when you buy. If you're in the market for a used car, head to NJ State Auto Auction. You'll find hundreds of Carfax-certified cars on the lot, and an in-house finance team that is dedicated to helping you afford the used car, truck or van that's right for you. Owning a car can be an expensive affair. With things such as monthly car payments, insurance, gas, parking fees and maintenance, if you aren't careful to budget smartly your car can quickly monopolize your wallet. Fortunately, buying a car doesn't have to be an automatic sentence to penny pinching and purse-string tightening. There are a few tips you can keep in mind to alleviate some of the financial burden so you can feel like royalty without having to spend like it too. Much of your ability to save money later depends on what kind of car you decide to buy now. That's not to say you should buy a cheaper vehicle – in fact, those may even be more unreliable and lead to more money spent in repairs down the road. Be sure to do research into the models you are considering. Reliability, safety and fuel economy may mean you pay a bit more now, but buying smart can save you a ton of cash later on in gas and repairs. Edmunds recommended not spending more than 20 percent of your gross income on your car, and that includes things like parking and gas expenses as well. To get a better idea of how much of your car budget you can spend on the actual car, you'll want to familiarize yourself with what Edmunds referred to as the True Cost to Own. This is a formula designed to help weed out incidental hidden costs so you can get a clear picture of what you can spend on your wheels. One such hidden cost is your insurance premium, and Edmunds estimated that this makes up approximately 25 percent of your car budget. To make sure you are paying as little as possible, shop your insurance around before committing to a policy. Keep in mind that cars with higher safety and reliability ratings will also generally give you lower insurance premiums. No matter what car you drive, you can keep your insurance rates down by driving safely and avoiding accidents. The biggest offender in the incidental cost arena? Gas. Edmunds reported that up to 41 percent of the money you spend on your car will go right into your fuel tank, so make sure you shop for efficiency and drive conservatively to get the most out of your fuel. When it's time to buy a car, head to NJ State Auto Auction. You'll find hundreds of Carfax-certified cars on the lot, and an in-house finance team that can help you afford the used vehicle that's right for you. As a car owner, you are likely familiar with the concept of motor oil. Between constant reminders from your mechanic, TV commercials and your mother, the necessity of keeping current with your car’s oil changes has become basically mantra for you. Unfortunately, the only constant in this great universe of ours is change, and that holds true for motor oil as well as anything else. Over the past several years, common lubricant wisdom has been revised to account for new technology both in your engine and your bottle of motor oil, so it couldn’t hurt to brush up on the basics of what you need to know. Change is good – but how often? Ask anyone on the street how often you should change your oil and you’ll undoubtedly get the same response: every 3,000 miles. This common piece of garage-floor wisdom has been passed through the generations. However, in recent years the paradigm has shifted somewhat. According to Edmunds, the 3,000-mile rule has become obsolete thanks to advances in engine and motor oil technology. While it differs model to model, most cars don’t only need their oil changed every 7,500-10,000 miles, though Edmunds does recommend checking your owner’s manual to be sure. You’ll also want to keep track of what kind of driving you do, as stop-and-go driving can have a different effect on your engine than highway cruising. While motor oil has traditionally been thought of as a one-size-fits-all affair, recent years have seen this change as well. Certain manufacturers have started brewing up their own proprietary blend of motor oil that their models will require. What does this mean for you as a driver? Manufacturer-specific oil may lead to increased maintenance costs when it does come time to change your oil, as well as potential warranty concerns should you use an unapproved motor oil instead. Fortunately, not all automakers have adopted this policy, so it could pay to do the extra research when it comes time to look for a car to see what you can expect when it comes time to check the dipstick. 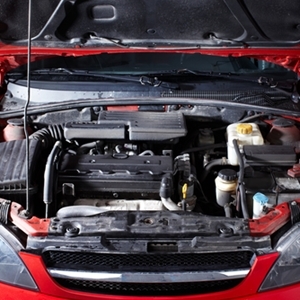 Keeping your car’s oil changed is an essential part of maintenance. For help with your oil changes and any other maintenance needs, make an appointment with NJ State Auto Auction‘s Total Car Care Center. The knowledgeable staff are on hand to identify any potential issues or simply to keep your car in great working condition. Few things strike more fear into the hearts of drivers everywhere than the red and blue flashing lights of a police siren beckoning them to the shoulder of the road. Not only is getting pulled over inconvenient and embarrassing, but traffic tickets and moving violations can be expensive. It may seem that the cops have it out for you sometimes, but the fact is there are a few basic things you can do to improve your driving and thus avoid attracting the unwanted attention of the fuzz. This may seem like an absolute no-brainer, but the fact is it still warrants repeating; if you're driving unsafely, chances are you're going to attract the wrong kind of police attention. One of the biggest offenders in this category is speeding. Everybody's been there. You're late for work, a dance recital, the birth of your child or any number of other events, and we figure that by goosing the gas just a bit more we can shave off some of that travel time. Edmunds reported that according to surveys from various police departments, speeding incidents seem to be on the rise. Unfortunately, driving faster doesn't just decrease the time it takes to reach your destination, it also decreases your reaction time and ability to respond to potential emergency situations. While cops generally allow some minor leeway when it comes to speed limits, you should always aim to follow the posted signs to avoid costly tickets. Even if you're the best driver you know, you can still find yourself on the receiving end of a police stop. Defensive driving and abiding speed limits are essential, but if your car isn't properly maintained that can lead to some costly punitive measures. According to a blogger writing for eSurance, illegally tinted windows, busted tail lights, burnt out headlights and cracked windshields are all among the most common superfluous equipment malfunctions to lead to unwanted traffic tickets. What's more, unlike issues of swerving or potentially dangerous driving, maintenance issues are cut and dried – if your tail light's out, it's a guaranteed stop. If you're looking to purchase a car, head to NJ State Auto Auction. There are hundreds of top quality Carfax-certified vehicles on the lot, a knowledgeable sales staff, and an in-house finance department all ready to help put you in the used car, truck or van that's right for you. Is It Possible To Coexist Peacefully With Bikers? You know them, you've encountered them and you probably hate them. Many of us have had to contend with bikers during our commutes, and it can often feel like they were put on the road specifically to get in the way of motorists. Though it may seem like cyclists and drivers are destined to be at each other's throats for all eternity, there are a few things to keep in mind that can ensure the road the two of you share remains smoothly paved. You've heard the share the road slogans before, and it's time to take them to heart. The fact is, there are more bikes on the road now than ever before – The Washington Post reported that the D.C. area alone has seen an 86 percent increase in the number of people commuting by bike instead of car between 2000 and 2009, and in total the city streets see an additional 16 million bikes hit the road every year. Unfortunately, this surge in bikers has come with its share of growing pains. Roughly 45,000 bikers are injured and 700 are even killed every year due to traffic accidents. The fact is that the roads are no longer just for cars, and evidence of this is becoming more and more prevalent. Bike lanes line most major city streets, and it's imperative that as a motorist you keep out of them. Not only is parking or driving in bike lanes rude, it can force cyclists into more dangerous areas populated by cars; that's how accidents happen. Not all streets have bike lanes, which means you'll be sharing not only the road, but likely your lane as well. According to Edmunds, giving bikers three feet of space between them and you is instrumental in promoting safe road sharing, so much so that it's been passed into law in 20 states. We're all prone to a little road rage every now and then, but consider the fundamental difference between bikes and cars. 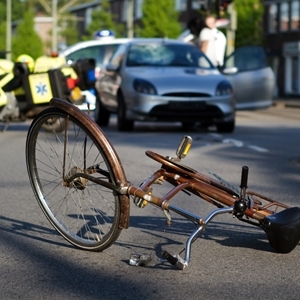 Collisions between motor vehicles can cause damage and increased insurance premiums, while a collision with a biker who is almost completely unprotected can cause serious injury. Understand that bikers are more vulnerable than you drivers, and make an effort to drive more defensively. If you're stalwart in pledging your loyalty to the motorist camp, head to NJ State Auto Auction. On the lot you'll find hundreds of Carfax-certified cars, and an in-house finance team dedicated to helping you afford the used vehicle of your choice – the road sharing afterward is up to you, of course. Posted in General Auto News | Comments Off on Is It Possible To Coexist Peacefully With Bikers? When it comes time for you to buy a car, you'll have lots of decisions to make before you even set foot on the lot. One of the most basic and important of these is whether to buy a car or simply lease. While the difference between owning and leasing may seem negligible or worse, overly complicated, having an understanding of the ins and outs of car ownership options is essential if you want to spare yourself a potential headache down the road and come out on top. If a lease agreement makes you scratch your head as much as a loan document, here are some basic things to keep in mind when you head into the dealer's office. One of the first questions on your mind when embarking on your journey is why bother leasing when you can own? The truth is there is no hard-and-fast answer, no magic bullet that will lead you to the perfect car arrangement. Rather, it depends largely on a number of factors that are unique to you and your situation. The U.S. News & World Report stated that leases tend to come with lower monthly payments than do purchase agreements, so if money is a primary concern a lease may be a better option. That said, leases tend to come with their own restrictions. Since you don't technically own the car, you'll often find your lease comes with a set of restrictions on everything from how often you need to have maintenance performed to how many miles a year you can drive it. You've signed the lease, now what? If you decide that leasing your dream car is right for you, make sure to stay on top of your regularly scheduled maintenance and your yearly mileage limits as defined by your lease in order to avoid potentially costly penalties come the end of your lease. Another thing to keep in mind is what will happen when your lease comes up. Edmunds outlined a few guidelines to consider that can help steer you toward your decision to either buy out your lease or turn it in for something else at the end of your term. This means you'll have to roll up your sleeves and dive into the nitty gritty of things such as the car's residual value – how much your car is worth at the end of your lease – and its market value – what it's currently worth. When you're ready to pick up your new car, head to NJ State Auto Auction. You'll find hundreds of Carfax-certified​ automobiles on the lot, and an in-house finance team to help make your used car, truck or van affordable. Buying a car is a huge financial investment. Unlike a new Xbox or tickets to the next Beyonce concert, your decision to purchase a car will have lasting financial ramifications that can, at least in part, dictate your spending habits for the next couple of years. While things like car loans can help you lighten the financial load up front, it's possible and even common to get bogged down in the details of things like interest rates and how that affects how much you ultimately end up paying. 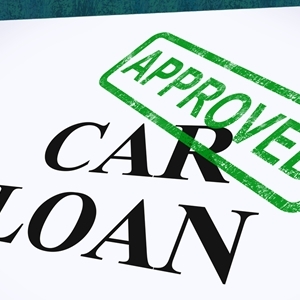 Before you sign on the dotted line, you should stop and consider if you even need to take out a car loan. Paying for a car with cash may seem like a daunting task, but if you're able to manage to pull the savings together, you'll be able to avoid the potential headache of wrestling with interest rates and monthly payments, not to mention avoiding these means you ultimately end up spending less. Additionally, Wall St. Cheat Sheet reported that buying with cash can help you avoid ending up with an upside-down loan – a situation where a car's depreciation means that you ultimately end up paying more than it's worth when it comes time to sell. However, saving up to buy a car in cold hard cash may not be feasible for everyone. If you've never been able to make friends with your piggy bank, then financing your purchase with a car loan may very well be the right choice for you. 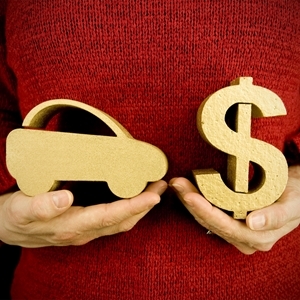 If you decide to finance your car, there are a few things to keep in mind. First, your credit score may impact more than just your loan eligibility; it can also affect how much you end up paying per month. While having a poor credit score may not lock you out of qualifying for a loan, it can leave you with higher monthly payments. That said, according to CNN Money, consistently paying toward your car loan can raise your credit. If your credit score sees a decent jump during the course of your loan repayment, consider asking to refinance. This may afford you a better rate or cut down on the amount of time left in your repayment. If you're looking to buy a car, head to NJ State Auto Auction. You'll find hundreds of Carfax-certified cars on the lot, and the in-house finance department is knowledgeable and dedicated to helping you qualify for a loan so you can afford the car, truck or van that's right for you. It can often feel like cars are little more than machines that eat money. Regardless of how long we drive them or the condition we struggle to keep them in, it seems like it's impossible to keep your car's value from plummeting. Fortunately, despite more pessimistic wisdom, there are steps you can take to improve the value of your car. Whether you're looking to trade in your car or you simply take pride in having a cared-for ride, here are some simple tips to influence your car's value in the right direction. It's not enough for your car to feel good, to get the most out of the value calculation it's got to look good too. Conventional folksy wisdom aside, when it comes to cars, it's not just what's on the inside that counts. In fact, as Kelley Blue Book told MSN Autos, when people are looking to buy a car, looks are one of the chief considerations. Fortunately, keeping up your car's appearance is one of the simplest things you can do, and you don't even have to leave your own driveway. In addition to giving your car a thorough wash and wax, make sure to take care of little things you may usually miss: give your headlights a good scrubbing, vacuum the interior, clean the floor mats and polish your hubcaps. Even if your car has some years behind it, keeping it looking like new will go a ways in adding to its value. To go all the way to maximize what your car is worth, there are a host of small tasks you can do. From minor maintenance minutiae to ancillary administrative affairs, you'll want to go over your car with a fine-toothed comb. CNN touted the benefit of taking care of those little peccadilloes you may have let slip, such as changing burnt-out headlights and addressing those pesky dashboard lights that have been glaring at you for months. Similarly, take the opportunity to get all your ownership papers in order, including an ownership history report from somewhere such as Carfax. If potential buyers see that you've got a handle even on the little things, it will reflect well on the overall state of the car. If you're looking to buy a used car, head into NJ State Auto Auction. You'll find hundreds of Carfax-certified cars on the lot, as well as an in-house finance department that can help you to afford the used car, truck or van that's right for you.